My aim in writing Strategies for Managing Uncertainty was to understand how key players in oil and natural gas and automotive sectors have hedged their bets in making long term decisions, when the results of those decisions were unknown in advance. The purpose of the book is to reveal the hedging mechanisms of integrated oil and natural gas and motor vehicle companies in the energy industry. How have they tried to shield themselves from the disastrous consequences of the vast strategic bets they make that might go awry? I argue that their goal has not necessarily been to maximize returns to shareholders but to survive whatever contingency takes place and with some luck to prosper if the best of conditions arise. The track record of energy industry company decision making in the past has been anything but perfect and serious miscalculations have put nearly every firm in the industry at some point in time in danger of demise, but the major elimination of an energy industry company, even in the face of some their bankruptcies, has not taken place. In this sense, their hedges have succeeded in protecting them from the worst of their decision making blunders. 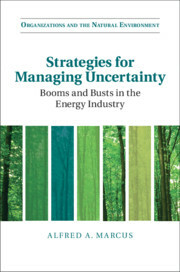 Firms in the energy industry face at least two major uncertainties with which this book grapples. The first of the major uncertainties has to do with volatile prices, the boom and bust conditions that prevailed from 2012-16, when oil prices plunged from a height of about $100 a barrel and fell to a low of about $30 a barrel, in the process of wiping out about a third of major integrated oil and natural gas company revenue and providing motor vehicle companies with the opportunity to sell more highly profitable light duty trucks, pickups, SUVs, and crossovers. The second of the major uncertainties is the ongoing threat of climate change brought about by the incessant burning of fossil fuels that the integrated oil and natural gas and motor vehicle companies facilitate. 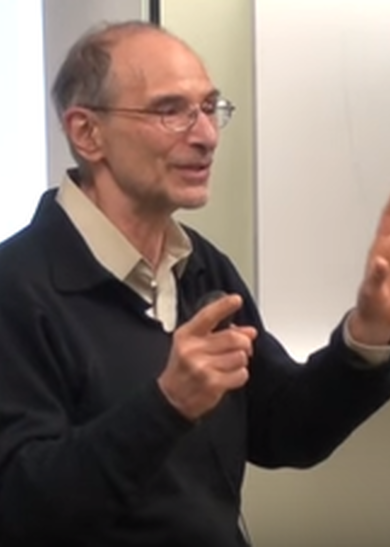 Climate change introduces physical uncertainty in that meteorological conditions in the world which allow the global economy to function no longer will be operable and legal uncertainty in that almost every government in the world has tightened its standards on fuel efficiency and air emissions and stretched the technological capabilities of integrated oil and natural gas and motor vehicle companies to their limits in trying to arrive at ways to comply with the laws the world’s governments have enacted. This period was one of mounting pressure on energy company firms to respond to climate change. This pressure culminated in the global Paris climate change pact of 2015 in which nearly all countries in the world committed to lower their carbon footprint by introducing tight new fuel efficiency and air quality standards. All of the firms in the integrated oil and natural gas and motor vehicles were preparing for a future in which fossil fuels would be less dominant, but their preparations for this future differed in significant ways. Some acted based on the assumption that reduced reliance on fossil fuels was more imminent than others and this assumption led them to making different strategic investments and bets than their peers. • ExxonMobil adjusted however slightly its stance on climate change and widely publicized an effort on its part to develop petro-algae. • BP disgorged large amounts of its fossil fuel assets to save itself from bankruptcy after the Deepwater Horizon oil spill. • Shell restructured as well, letting go of large amounts of its oil assets and acquiring natural gas assets instead, which led to a major commitment to build liquefied natural gas infrastructure. • TOTAL moved in a different direction than other integrated oil and natural gas companies, as it owned advanced battery and solar panel companies and started to secure for itself European electric utilities that it could operate. • GM, on the other hand, introduced an electric plug-in and the all-electric Bold. • Ford, wavered in the face of weak financial results unsure how much it should commit to its global bestselling F-150 series light truck versus moving to hybrids and to the opportunities of new transportation models, but it did come to a number of important decisions, both in making the F-150 series lighter with an aluminum body replacing some of the metal body. • VW, with its back against the wall because its cheating on diesel emission standards, reversed its commitment to proclaiming that diesel was the world’s greenest solution, and promised that it would make almost all its models available in some type of electric option no later than 2030. • Toyota promised the most far-reaching transformation of any automaker with regard to offering hybrid and fully electric vehicles for sale. Strategies for Managing Uncertainty develops a theory of hedging that applies to firms in the oil and natural gas and motor vehicle industries in the 2012-2016 period, but which can be extended to other organizations experiencing similar disruptive change.